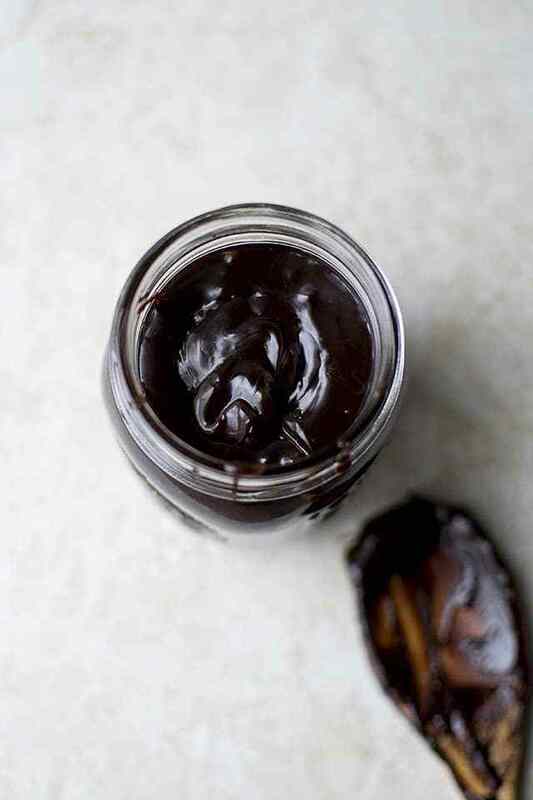 Easy to make Homemade Chocolate Fudge Sauce. It keeps for a very long time in the fridge and is great to drizzle over ice cream or fruit or pound cake or just eat it by the spoonfuls. Combine cream, syrup, brown sugar, cocoa powder, salt and half of the chopped chocolate in a medium saucepan. Bring to a boil on medium heat; reduce the heat to medium-low and cook for 5 minutes, stirring occasionally. Remove the pan from heat and stir in the remaining chopped chocolate, butter and vanilla extract. Stir until smooth. Cool for 20~30 minutes before using it. The sauce will thicken as it cools. Store in an airtight container in the fridge for up to a month. Reheat in the microwave to get it back to pourable consistency.